Refreshing and simple to grow! 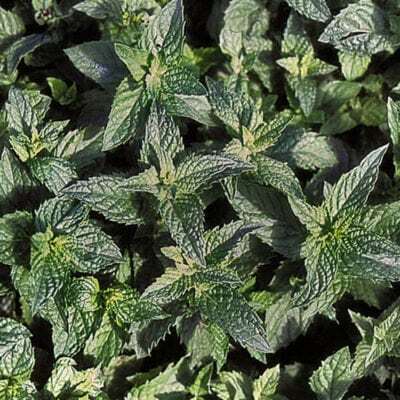 Spearmint (Mentha spicata) is so adaptable and strong that it, like most mints, will take over the garden if you don’t keep an eye on it. 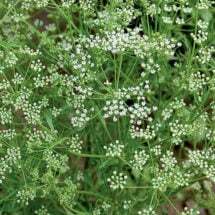 Grows 18-24 inches tall with small purple-pink flowers. Perennial in zones 4-10. 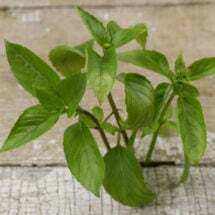 Find more tips on growing Mint here. Low maintenance plants thrive in sites with moist, well-drained soil and full sun to partial shade. Start indoors several weeks before the last frost date or direct sow after temperatures have warmed. Plants spread vigorously. Mulch to prevent moisture loss during hot summer months. 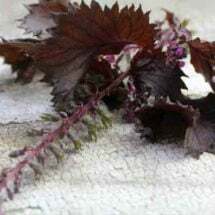 Gather young leaves and use fresh in salads, garnishes or teas. 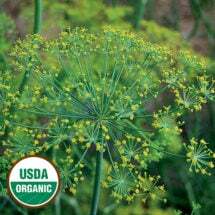 For best flavor, pick in the early morning when aromatic oils are at their flavorful peak. To dry, tie in small bundles and hang upside down in a ventilated area. Store in airtight jars and use as needed. Compact plants grow well in containers and have a refreshing lemon flavor.